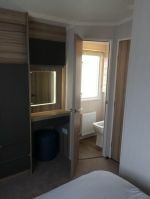 This Swift Antibes holiday home with full central heating is a modern open plan design and sleeps up to 6 people in 3 bedrooms (1 double ensuite and 2 twin). LED lighting throughout. Please note that we only take a maximum of 6 people irrespective of age and strictly no pets. 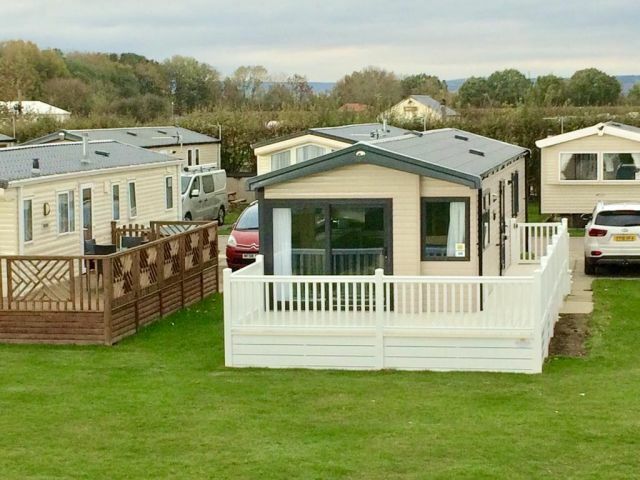 The caravan is situated on Willow Grove close to the reception area, supermarket and laundrette. The theme park, zoo and entertainment are just a short stroll away, with other facilities such as swimming pool and golf close at hand. The spacious lounge provides ample comfortable seating with a 43" flat screen TV and DVD player. 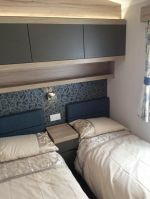 The fully equipped kitchen includes gas cooker with grill, fully intregrated fridge-freezer, microwave, toaster, kettle, pots/pans, cutlery, crockery and all cooking utensils. Tea towels are also provided. There is also an iron, ironing board and vacuum cleaner. Fire extinguisher, fire blanket, smoke alarm, carbon monoxide detectors are all provided for your safety. 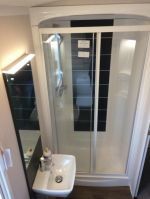 The bathroom consists of shower, toilet, wash basin. Please bring your own hand/bath towels. 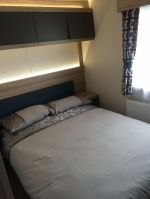 All bedding is provided, all beds are made up for your arrival, giving you the freedom to start your holiday as soon as you arrive.